Charlotte (NC) — On Thursday, the Charlotte Independence professional soccer team announced franchise leading goal scorer and USL Championship second all-time leading goal scorer, Jorge Herrera has re-signed for his 21st professional season, pending league and federation approval. At 38 years old, Herrera recorded a career-high and team-high 13 goals last season. Herrera continues to have a huge impact as a team leader both on and off the field. The fan favorite has many notable franchise firsts, including being the first signed player to the 2015 inaugural roster, the first to reach 100 appearances, and the first hat trick in team history. Having already left his mark in the USL Championship record book as the second player to reach 50 regular season goals, Herrera is two goals back of Indy Eleven forward Dane Kelly (67) for the all-time lead in USL Championship regular season goals. A Colombian native, Herrera closed out 2018 leading the team in goals, key passes (41) and tied for second in assists (4). 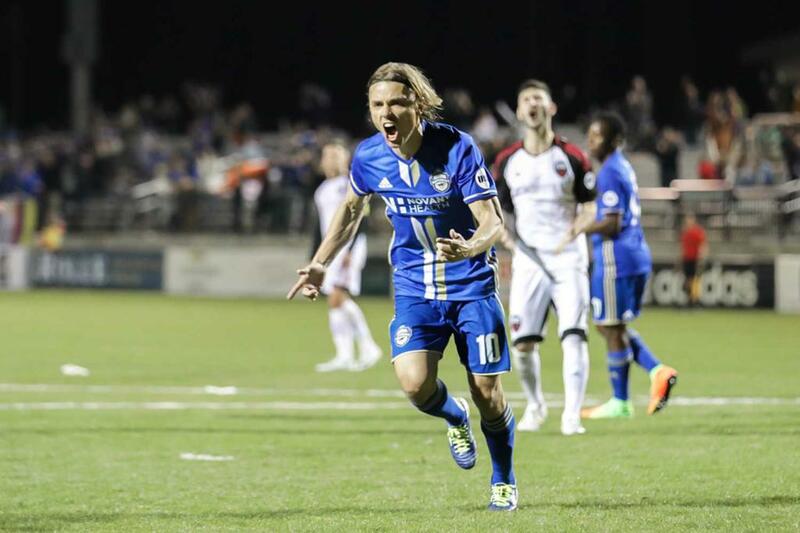 His passion and energy on the field are unmatched, making a statement with an epic bicycle kick in the 2018 season-finale matchup against in-state rivals North Carolina FC. Herrera becomes the eighth player added to the 2019 rosters. New Head Coach Jim McGuinness is looking forward to seeing his squad prepare for the upcoming campaign as training camp begins this Monday. The Independence will return to USL Championship action on Friday, March 15th for the 2019 Season Opening Game versus Indy Eleven at the Sportsplex at Matthews. For more information on 2019 Season Memberships, please visit charlotteindependence.com or call the Independence front office at 704-206-1515.